A database that provides middle and high school students with nonjudgmental, straightforward, curricular and self-help support, aligned to state, national, and provincial standards. Topics include diseases, drugs and alcohol, nutrition, mental health, suicide and bullying, green living, LGBTQ issues, and more. Health Reference Center (Teen's Health) Gives clear and comprehensive information on conditions and diseases, health and wellness, mental health, and the human body. A website about how to prevent and end dating abuse. 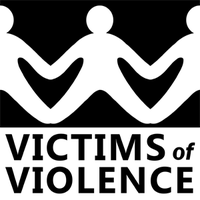 It is a project of Break the Cycle and the National Domestic Violence Hotline. ​A website that provides honest, accurate information and advice about health, emotions, and life. TeensHealth is accessible 24 hours a day so you can get the doctor-approved information you need to make educated decisions — or help a friend who needs advice. This guide is meant to bring attention to some of the circumstances you might find yourself in that jeopardize your safety, and offer some suggestions on how you can prevent these things from happening and/or how to deal with them if they do. ​ConnectSafely.org is a nonprofit organization dedicated to educating users of connected technology about safety, privacy and security. Here you’ll find research-based safety tips, parents’ guidebooks, advice, news and commentary on all aspects of tech use and policy. Are you smart and safe online? Take the challenge to find out! Thinking of sending a photo? Answer these true/false questions to find out if you should press send. Can you keep it private? Can you keep it private? What do you know about keeping information private and secure online? Take this online quiz to find out? Take this quick online quiz to find out! Created for Mrs. Appel's 8th Grade Health classes. Last Updated by Ms. Field 11/20/2017.